Because of Easter holidays, we are having guests from many countries these days. 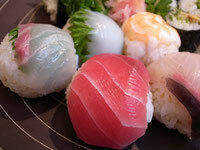 Yesterday, we had a Sushi class with people from Australia and Chile. When I first planned for cooking class for English speakers, I thought people who lived in Tokyo would be interested in taking our classes; however, now most guests are the tourists. I am always looking for the ideas which make our cooking class to be a memorable moment in the trip. Of course, classes are available for people living in Tokyo, too! 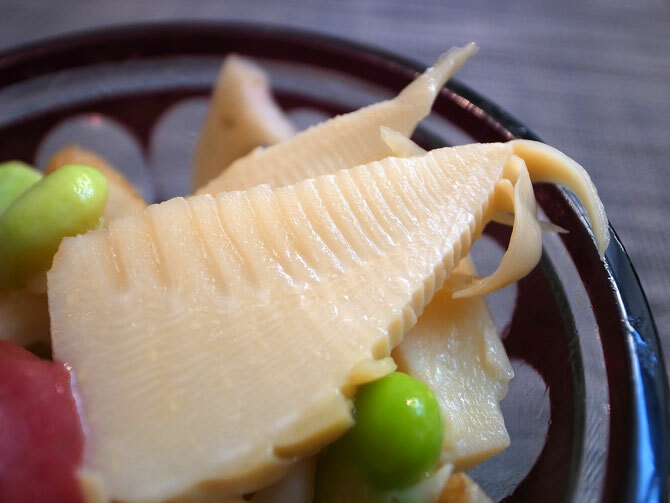 Anyway,,,, another bamboo shoot dish. 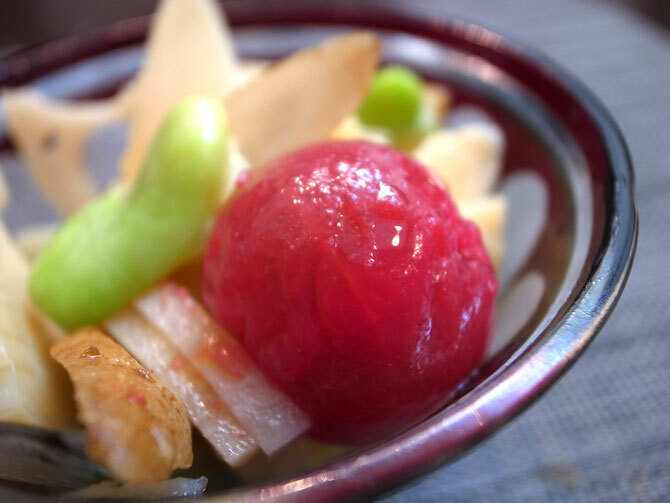 This is Bamboo shoot pickles. I wanted to make salad like bamboo shoot dish and came up with this idea. Mini tomatoes, lotus root, burdock and fava beans are in the pickles, too. Pickled tomatoes are tasty and pretty. 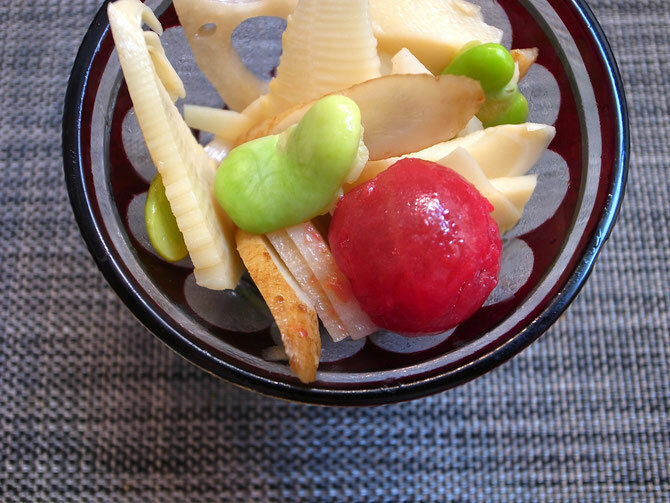 Head of Bamboo shoot has soft texture and the soft texture matches with this dish. I don't remember how many times I've already eaten fava beans in this Spring. 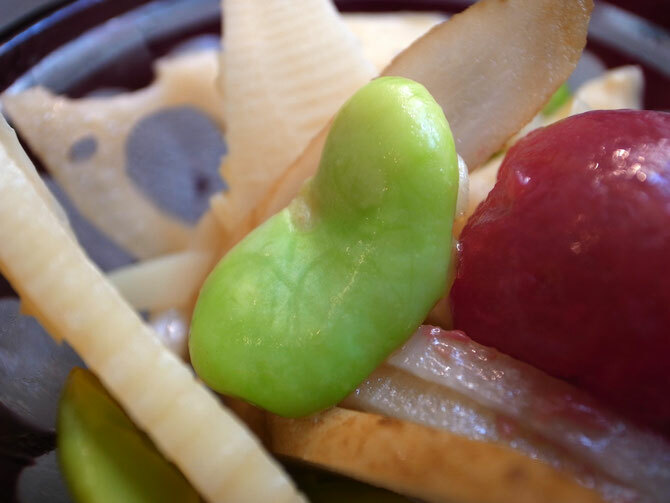 Fava bean is our another symbolic spring vegetable. 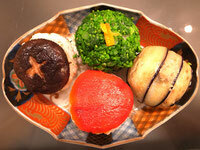 Kinds of vegetables in the market will differ in next month because they will be shifted to summer vegetables. So I think I have to be in hurry for cooking and enjoying more with theses spring vegetables until then ! !